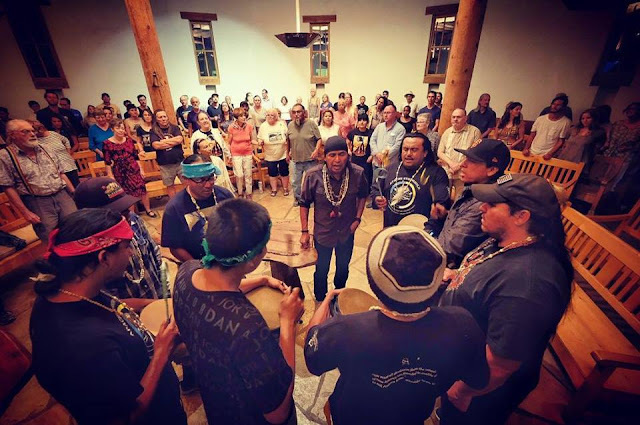 TUCSON, Ariz. (June 12, 2018) -- Wendsler Nosie Sr and the Stronghold Sacred Journey with the Arizona Poor Peoples Campaign hosted by Southside Presbyterian Church in Tucson. Wendsler tells us why he has joined the Poor People’s Campaign — He says we’ve all been touched by colonization. But we as indigenous religious people have one step outside that colonIzed frame. We are the ones who can save you. We know what it will take for this nation to change. Because we know better than anyone what America’s lies and deceptions and greed have done to humans and this land. And our prayers and spiritual stories have survived and remind us of who we all really are and how we must relate to each other and the earth - the sacred land and water.